While the activity around the league has slowed down as we’re well into the summer, there was still some notable news in recent days. Here’s a rundown of the top stories from the past week. Six Years For Dvorak: The Coyotes typically don’t hand out too many long-term contracts but they made an exception with youngster Christian Dvorak as they inked the center to a six-year, $26.7MM contract. The 22-year-old followed up a strong rookie season with a very similar sophomore campaign as he collected 15 goals and 22 assists in 37 games. Giving someone with those types of numbers a $4.45MM AAV has raised some eyebrows but it’s clear that GM John Chayka believes that Dvorak has another level to his game and that the asking price would have higher if they waited until after next season to get a deal done. Tkachuk To Forego Remaining NCAA Eligibility: Brady Tkachuk had set a deadline to make a decision about whether he would sign with Ottawa or return for his sophomore year at Boston College. The fourth overall pick has opted to sign with the Sens which eliminates his remaining college eligibility. The question now becomes where the winger will play in 2018-19. While he could potentially play regularly with the Senators, they could also opt to assign him to their AHL affiliate in Belleville or to the London Knights of the OHL who have his junior rights. Wild To Wait On Staal Extension: While several teams are looking to lock up their prominent potential unrestricted free agents a year early, Minnesota will be taking a different approach when it comes to center Eric Staal. The team plans to shelve any thought of a new deal until the season gets underway where new GM Paul Fenton can evaluate if he’s still going to be part of their plans moving forward while also hedging against a regression from his 42-goal, 76-point 2017-18 campaign. Staal has been a major bargain on his current contract which pays $3.5MM per year, well below market value for someone producing like a top pivot. 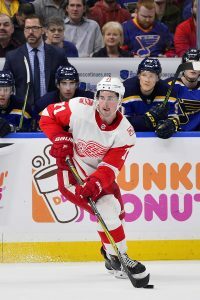 Larkin Locked Up: Detroit got their top remaining restricted free agent locked up by signing center Dylan Larkin to a five-year, $30.5MM contract. The deal gets their top point getter from last season signed at a good rate but the term is a little curious as it only buys out one season of UFA eligibility. 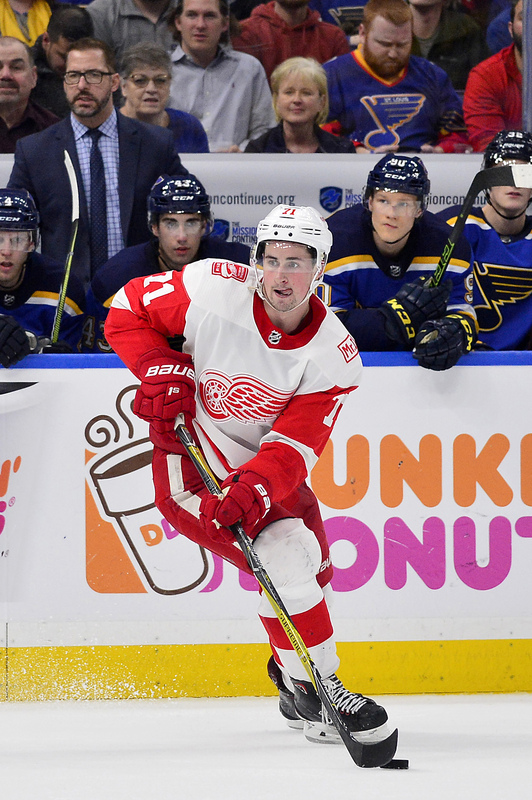 Larkin will be eligible to hit the open market at 27 which should have him well-positioned for an even bigger deal at that time. For the time being, the Red Wings now project to be about $3.2MM over the salary cap but that could be alleviated and then some if center Henrik Zetterberg is unable to play next season. GM Ken Holland acknowledged that their captain has been dealing with continued back problems which makes his status uncertain for October. If he winds up on LTIR along with Johan Franzen, Detroit will wind up being well under the cap to start 2018-19. Mikita Passes Away: Long-time Blackhawk and Hall of Fame winger Stan Mikita passed away at the age of 78. He ranks 14th all-time in scoring with 1,467 career points in 1,397 career games and won a pair of Hart Trophies as well as a Stanley Cup title back in 1961. He still holds several records in Chicago including assists, points, games played, and plus/minus while sitting second in goals. Mikita’s presence is still being felt today as he was one of the first to use a curved blade on his stick, something that is now commonplace today.